On Jan. 23, Mr. Aki Takigawa, 3rd-year Doctoral Student in the Department of Earth and Planetary Science,Wins the 2nd JSPS Ikushi Prize. 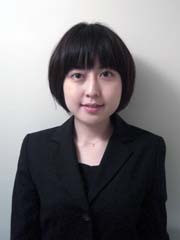 Ms. Aki Takigawa, a third-year doctoral student in the Department of Earth and Planetary Science, won the Second Japan Society for the Promotion of Science (JSPS) Ikushi Prize. This prize is intended to “reward excellent doctoral students promising to contribute to future advancement in scientific research in Japan”. Ms. Takigawa is working to clarify, through astronomy, planetary science, and mineralogy, the formation and evolution of alumina (Al2O3) grains, which form at the highest temperature among solid particles formed from gases around stars. She experimentally demonstrated that the vapor-solid phase transition of circumstellar alumina caused different crystal faces to characteristically grow or shrink depending on the gas partial pressure and cooling rate, i.e. alumina was anisotropic. Then, she calculated the infrared absorption spectra of anisotropic crystals and showed that the peak position and intensity differed depending on anisotropy. She also estimated grain formation conditions around stars based on a grain growth model. By chemically extracting alumina grains from meteorites, which are remnants of the early solar system, and measuring their oxygen isotopic compositions, she identified presolar grains and analyzed their anisotropic characteristics and surface structures, revealing how presolar grains were transferred to the solar system. Her novel empirical approach to the study of material evolution in the universe is expected to pioneer new scientific fields.